WARNING: This information is obsolete. This guide and AntiVMDetect only applies to x86-64 Windows platform. 1.1) Do clean installation of latest VirtualBox. Clean mean - you must firstly uninstall any other versions of VirtualBox and reboot Windows to complete uninstallation. This ensures that no old VBox files will left in system memory and disk. Unfortunately VBox setup sometimes can't do complete removal without reboot. 1.2) Start installation and select VirtualBox components to install as shown on fugure below. 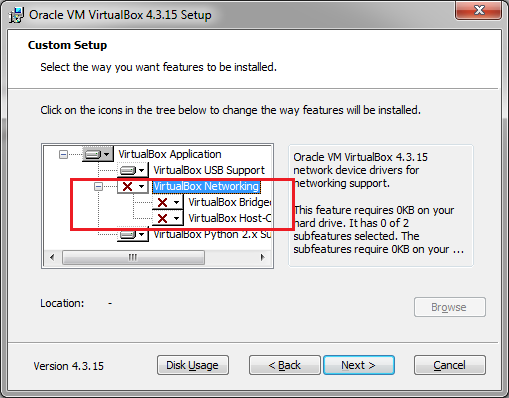 DO NOT INSTALL VirtualBox Networking, otherwise you will have problems with part 2 and 3 of this guide, as VirtualBox driver cannot be stoped when VirtualBox networking is active. This feature is pretty useless however, NAT still will be available for virtual machines. - VM splashscreen (optional, just for nice looking). How do we target this: we remove all sings of Oracle/Innotek signatures inside original data extracted by various ways from Oracle VirtualBox itself and then use documented and "not documented" ways to set these customized data for specific virtual machine using batch scripts, see 2.2 for more info and example. 2.2) Run the following commands combined in batch script. As parameter to script give a full virtual machine name you want to use, in this example it is "sbox"
PUT YOUR OWN RANDOM information in the data fields, DO NOT USE THE SAME AS BELOW so this can't be used as detection markers. %vboxman% setextradata "%1" "VBoxInternal/Devices/pcbios/0/Config/DmiBIOSReleaseMajor" "5"
%vboxman% setextradata "%1" "VBoxInternal/Devices/pcbios/0/Config/DmiBIOSReleaseMinor" "9"
%vboxman% setextradata "%1" "VBoxInternal/Devices/pcbios/0/Config/DmiBIOSFirmwareMajor" "1"
%vboxman% setextradata "%1" "VBoxInternal/Devices/pcbios/0/Config/DmiBIOSFirmwareMinor" "0"
%vboxman% setextradata "%1" "VBoxInternal/Devices/pcbios/0/Config/DmiSystemVendor" "Asus"
%vboxman% setextradata "%1" "VBoxInternal/Devices/pcbios/0/Config/DmiSystemProduct" "MyBook5,2"
%vboxman% setextradata "%1" "VBoxInternal/Devices/pcbios/0/Config/DmiSystemVersion" "1.0"
%vboxman% setextradata "%1" "VBoxInternal/Devices/pcbios/0/Config/DmiSystemSerial" "CSN12345678901234567"
%vboxman% setextradata "%1" "VBoxInternal/Devices/pcbios/0/Config/DmiSystemSKU" "FM550EA#ACB"
%vboxman% setextradata "%1" "VBoxInternal/Devices/pcbios/0/Config/DmiSystemFamily" "Ultrabook"
%vboxman% setextradata "%1" "VBoxInternal/Devices/pcbios/0/Config/DmiSystemUuid" "B5FA3000-9403-81E0-3ADA-F46D045CB676"
%vboxman% setextradata "%1" "VBoxInternal/Devices/pcbios/0/Config/DmiBoardVendor" "Asus"
%vboxman% setextradata "%1" "VBoxInternal/Devices/pcbios/0/Config/DmiBoardProduct" "Mac-F22788AA"
%vboxman% setextradata "%1" "VBoxInternal/Devices/pcbios/0/Config/DmiBoardVersion" "3.0"
%vboxman% setextradata "%1" "VBoxInternal/Devices/pcbios/0/Config/DmiBoardSerial" "BSN12345678901234567"
%vboxman% setextradata "%1" "VBoxInternal/Devices/pcbios/0/Config/DmiBoardAssetTag" "Base Board Asset Tag#"
%vboxman% setextradata "%1" "VBoxInternal/Devices/pcbios/0/Config/DmiBoardLocInChass" "Board Loc In"
%vboxman% setextradata "%1" "VBoxInternal/Devices/pcbios/0/Config/DmiChassisVendor" "Asus Inc."
%vboxman% setextradata "%1" "VBoxInternal/Devices/pcbios/0/Config/DmiChassisVersion" "Mac-F22788AA"
%vboxman% setextradata "%1" "VBoxInternal/Devices/pcbios/0/Config/DmiChassisSerial" "CSN12345678901234567"
%vboxman% setextradata "%1" "VBoxInternal/Devices/pcbios/0/Config/DmiChassisAssetTag" "WhiteHouse"
%vboxman% setextradata "%1" "VBoxInternal/Devices/pcbios/0/Config/DmiOEMVBoxVer" "Extended version info: 1.00.00"
%vboxman% setextradata "%1" "VBoxInternal/Devices/pcbios/0/Config/DmiOEMVBoxRev" "Extended revision info: 1A"
%vboxman% setextradata "%1" "VBoxInternal/Devices/piix3ide/0/Config/PrimaryMaster/ModelNumber" "Hitachi HTS543232A8A384"
%vboxman% setextradata "%1" "VBoxInternal/Devices/piix3ide/0/Config/PrimaryMaster/FirmwareRevision" "ES2OA60W"
%vboxman% setextradata "%1" "VBoxInternal/Devices/piix3ide/0/Config/PrimaryMaster/SerialNumber" "2E3024L1T2V9KA"
%vboxman% setextradata "%1" "VBoxInternal/Devices/piix3ide/0/Config/SecondaryMaster/ModelNumber" "Slimtype DVD A  DS8A8SH"
%vboxman% setextradata "%1" "VBoxInternal/Devices/piix3ide/0/Config/SecondaryMaster/FirmwareRevision" "KAA2"
%vboxman% setextradata "%1" "VBoxInternal/Devices/piix3ide/0/Config/SecondaryMaster/SerialNumber" "ABCDEF0123456789"
%vboxman% setextradata "%1" "VBoxInternal/Devices/piix3ide/0/Config/SecondaryMaster/ATAPIVendorId" "Slimtype"
%vboxman% setextradata "%1" "VBoxInternal/Devices/piix3ide/0/Config/SecondaryMaster/ATAPIProductId" "DVD A  DS8A8SH"
%vboxman% setextradata "%1" "VBoxInternal/Devices/piix3ide/0/Config/SecondaryMaster/ATAPIRevision" "KAA2"
%vboxman% setextradata "%1" "VBoxInternal/Devices/acpi/0/Config/AcpiOemId" "ASUS"
%vboxman% setextradata "%1" "VBoxInternal/Devices/vga/0/Config/BiosRom" "%vmscfgdir%videorom.bin"
%vboxman% setextradata "%1" "VBoxInternal/Devices/pcbios/0/Config/BiosRom" "%vmscfgdir%pcbios.bin"
%vboxman% setextradata "%1"  "VBoxInternal/Devices/pcbios/0/Config/LanBootRom" "%vmscfgdir%pxerom.bin"
%vboxman% modifyvm "%1" --bioslogoimagepath  "%vmscfgdir%splash.bmp"
%vboxman% setextradata "%1" "VBoxInternal/Devices/ahci/0/Config/Port0/ModelNumber" "Hitachi HTS543230AAA384"
%vboxman% setextradata "%1" "VBoxInternal/Devices/ahci/0/Config/Port0/FirmwareRevision" "ES2OA60W"
%vboxman% setextradata "%1" "VBoxInternal/Devices/ahci/0/Config/Port0/SerialNumber" "2E3024L1T2V9KA"
%vboxman% setextradata "%1" "VBoxInternal/Devices/ahci/0/Config/Port1/ModelNumber" "Slimtype DVD A  DS8A8SH"
%vboxman% setextradata "%1" "VBoxInternal/Devices/ahci/0/Config/Port1/FirmwareRevision" "KAA2"
%vboxman% setextradata "%1" "VBoxInternal/Devices/ahci/0/Config/Port1/SerialNumber" "ABCDEF0123456789"
%vboxman% setextradata "%1" "VBoxInternal/Devices/ahci/0/Config/Port1/ATAPIVendorId" "Slimtype"
%vboxman% setextradata "%1" "VBoxInternal/Devices/ahci/0/Config/Port1/ATAPIProductId" "DVD A  DS8A8SH"
%vboxman% setextradata "%1" "VBoxInternal/Devices/ahci/0/Config/Port1/ATAPIRevision" "KAA2"
%vboxman% setextradata "%1" "VBoxInternal/Devices/efi/0/Config/DmiBIOSVendor" "Apple Inc."
%vboxman% setextradata "%1" "VBoxInternal/Devices/efi/0/Config/DmiBIOSVersion" "MB52.88Z.0088.B05.0904162222"
%vboxman% setextradata "%1" "VBoxInternal/Devices/efi/0/Config/DmiBIOSReleaseDate" "08/10/13"
%vboxman% setextradata "%1" "VBoxInternal/Devices/efi/0/Config/DmiBIOSReleaseMajor" "5"
%vboxman% setextradata "%1" "VBoxInternal/Devices/efi/0/Config/DmiBIOSReleaseMinor" "9"
%vboxman% setextradata "%1" "VBoxInternal/Devices/efi/0/Config/DmiBIOSFirmwareMajor" "1"
%vboxman% setextradata "%1" "VBoxInternal/Devices/efi/0/Config/DmiBIOSFirmwareMinor" "0"
%vboxman% setextradata "%1" "VBoxInternal/Devices/efi/0/Config/DmiSystemVendor" "Apple Inc."
%vboxman% setextradata "%1" "VBoxInternal/Devices/efi/0/Config/DmiSystemProduct" "MacBook5,2"
%vboxman% setextradata "%1" "VBoxInternal/Devices/efi/0/Config/DmiSystemVersion" "1.0"
%vboxman% setextradata "%1" "VBoxInternal/Devices/efi/0/Config/DmiSystemSerial" "CSN12345678901234567"
%vboxman% setextradata "%1" "VBoxInternal/Devices/efi/0/Config/DmiSystemSKU" "FM550EA#ACB"
%vboxman% setextradata "%1" "VBoxInternal/Devices/efi/0/Config/DmiSystemFamily" "Ultrabook"
%vboxman% setextradata "%1" "VBoxInternal/Devices/efi/0/Config/DmiSystemUuid" "B5FA3000-9403-81E0-3ADA-F46D045CB676"
%vboxman% setextradata "%1" "VBoxInternal/Devices/efi/0/Config/DmiBoardVendor" "Apple Inc."
%vboxman% setextradata "%1" "VBoxInternal/Devices/efi/0/Config/DmiBoardProduct" "Mac-F22788AA"
%vboxman% setextradata "%1" "VBoxInternal/Devices/efi/0/Config/DmiBoardVersion" "3.0"
%vboxman% setextradata "%1" "VBoxInternal/Devices/efi/0/Config/DmiBoardSerial" "BSN12345678901234567"
%vboxman% setextradata "%1" "VBoxInternal/Devices/efi/0/Config/DmiBoardAssetTag" "Base Board Asset Tag#"
%vboxman% setextradata "%1" "VBoxInternal/Devices/efi/0/Config/DmiBoardLocInChass" "Board Loc In"
%vboxman% setextradata "%1" "VBoxInternal/Devices/efi/0/Config/DmiChassisVendor" "Apple Inc."
%vboxman% setextradata "%1" "VBoxInternal/Devices/efi/0/Config/DmiChassisVersion" "Mac-F22788AA"
%vboxman% setextradata "%1" "VBoxInternal/Devices/efi/0/Config/DmiChassisSerial" "CSN12345678901234567"
%vboxman% setextradata "%1" "VBoxInternal/Devices/efi/0/Config/DmiChassisAssetTag" "Apple"
%vboxman% setextradata "%1" "VBoxInternal/Devices/efi/0/Config/DmiOEMVBoxVer" "Extended version info: 1.00.00"
%vboxman% setextradata "%1" "VBoxInternal/Devices/efi/0/Config/DmiOEMVBoxRev" "Extended revision info: 1A"
%vboxman% setextradata "%1" "VBoxInternal/Devices/piix3ide/0/Config/PrimaryMaster/ModelNumber" "Hitachi HTS543232A7A484"
%vboxman% setextradata "%1" "VBoxInternal/Devices/acpi/0/Config/AcpiOemId" "APPLE"
%vboxman% setextradata "%1" "VBoxInternal/Devices/ahci/0/Config/Port0/ModelNumber" "Hitachi HTS543240A7A384"
Supported by VirtualBox, it has code to successfully load and work with this data, but these two commands not listed as acceptable by VirtualBox. The only way we can use them - force VirtualBox to allow them. Without this patch both commands will not be recognized by VBox as acceptable and VM won't start. Additionally even after heavy reconfiguring some virtual machine devices data still will point on Oracle - PCI HWID (hardware identificators). For more info about possible vm detection methods see our VMDE. 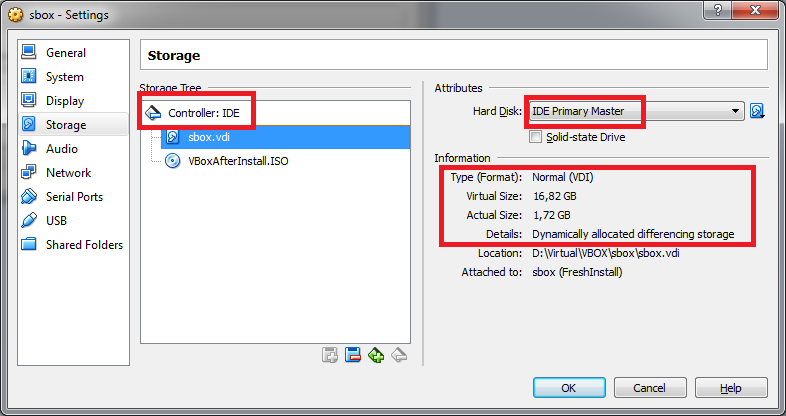 The only way we can change these ID - memory patch of the VBoxDD.dll where located most of VM related logic. Unfortunatelly in the patetic attempt to stop VirtualBox exploitation attempts Oracle have made a decision to create a some kind of "patchguard" for VBox, known as "Hardened VirtualBox". See http://www.kernelmode.info/forum/viewto ... 1&start=50 for more details. Install Tsugumi monitor driver (perform real time VirtualBox memory patch). loader will generate patch data for your VirtualBox installed version, write it to the registry, and notify monitoring driver about new data. If you want to stop monitor driver, without doing system reboot: run loader elevated with command line parameter /s (e.g. loader.exe /s). This will disable Tsugumi monitoring and allow you to use VM without dlls patch. Run loader again to start monitoring (see above). 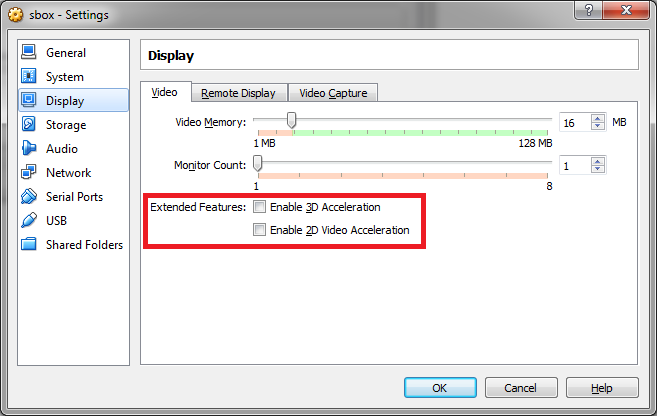 For more info about loader parameters run loader with /? Sets parameters for Tsugumi driver. /s - stop monitoring and purge system cache. Table - optional, custom VBoxDD patch table fullpath. What/Where/Data for patch stored in the HKEY_LOCAL_MACHINE\SOFTWARE\Tsugumi\Parameters. Loader will store here patch information that later will be used by driver. 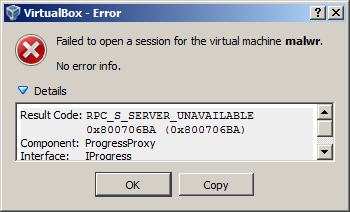 Note: Driver ONLY patch ONE VirtualBox dll in memory, nothing else in system modified. VirtualOffset - is v.offset in VirtualBox VBoxDD dll. Once patch driver installed by loader it will enable ACPI tables related commands, fake HWID's and patch several instructions with hardcoded VBox signatures. 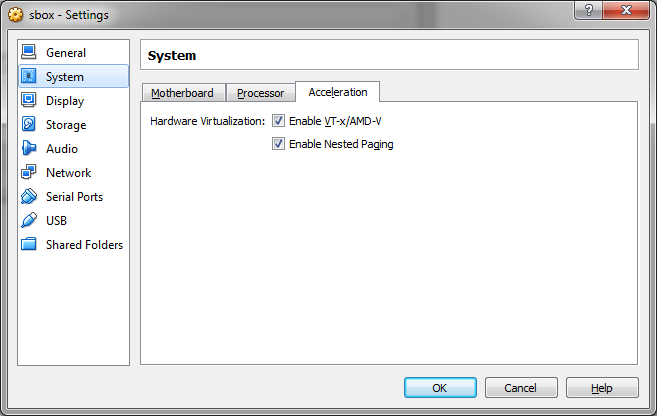 Note: starting from VirtualBox 5.0 this settings changed. 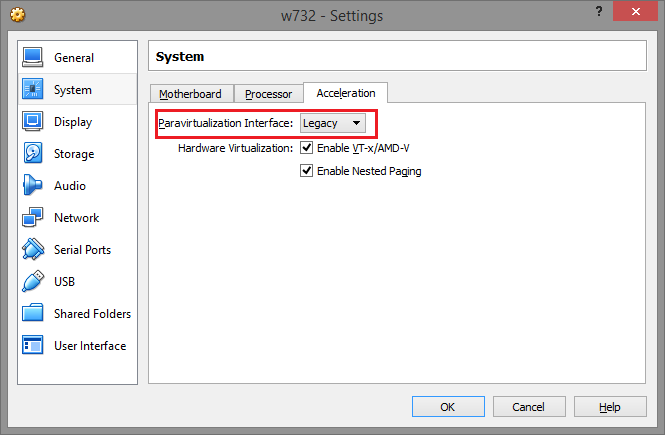 Always set Paravirtualization Interface to "Legacy". This need to be done to avoid detection by Hypervisor Present flag. 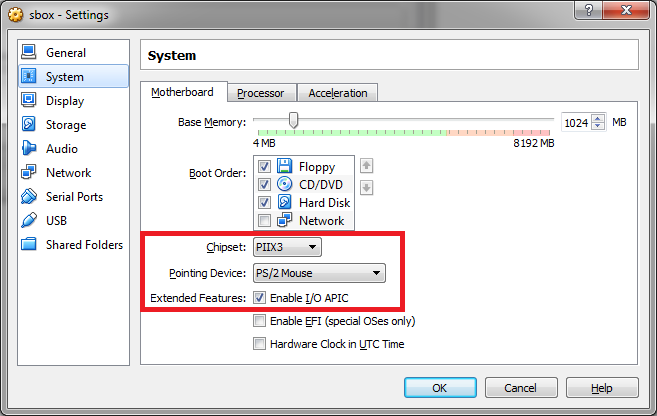 * We use here IDE controller, you can use AHCI it is not important. Better use dynamically allocated VDI images, with size not less than 16 GB, as HDD size is VM indicator for some lame malware. *For example used to access host computer via FTP and provide web access to the virtual machine and malware. 3.2) Install Windows (any you want, in this example we used machine with Windows XP SP3 RTM). DO NOT INSTALL VirtualBox Additions. NEVER. Once installed you may consider your VM as lost. How then copy all your instruments/tools/etc to the VM space? Do a prebuild ISO image, copy all your stuff on it, use VM CD-ROM drive for it. Copy a small ftp client to the VM and use Host-FTP-Server -> Guest->FTP-Client. In this example we copied all what we need on a prebuilt ISO image called VBoxAfterInstall.ISO, mounted it in virtual CD-ROM and then used our self made FTP server for other file transfers to the VM. Post updated to reflect loader changes. Last edited by EP_X0FF on Thu Mar 09, 2017 9:34 am, edited 30 times in total. I am sorry for this dumb question, but, where I can find the parameters information from a existing computer? n0mad wrote: Thank you very much for this. EP_X0FF wrote: What/Where/Data for patch stored in the "Tsugumi" driver key under "Parameters" subkey in "PatchData" value -> HKEY_LOCAL_MACHINE\SYSTEM\CurrentControlSet\services\tsugumi\Parameters. Loader will store here patch information that later will be used by driver. This mechanism supports proving custom patch data, you can specify path to custom patch data file as second param of "-l" command, e.g. loader.exe -l "c:\vbox\mycustompdata.bin"
This driver has no interface, it works semi-automatic, relying only on PatchData described above. All source of loader, driver, support tools can be found in attach. Replace in loader or use as external binary file, submitting it path to loader as second param, e.g. adapted to 4.3.20 and additionally strengthened video card id faking. If someone interested I can post complete guide how to create such dumps for new virtual box releases. Replace in loader or use as external translated to the binary file, submitting it path to loader as second param, e.g. 1. does it support 4.3.12 and lower versions? 2. ive a problem - your loader reports it cannot load driver, vbox 4.3.20 win7sp1 x64 driver signing policy is enabled, whats up with it? 3. how to create binary patch table like above? kmd wrote: 1. does it support 4.3.12 and lower versions? No. Minimum supported version is 4.3.14 (but it not work by itself), so take 4.3.18/20. On earlier versions use patched dlls from this topic. You probably using loader on system where virtualbox was already installed with default settings like "Networking support"? If so, then before running loader you need to turn off VirtualBox networking, run loader and then restart it. This is required because loader reloads VBoxDrv.sys (and requires this) but when Virtual Box networking is running VBoxDrv cannot be unloaded. 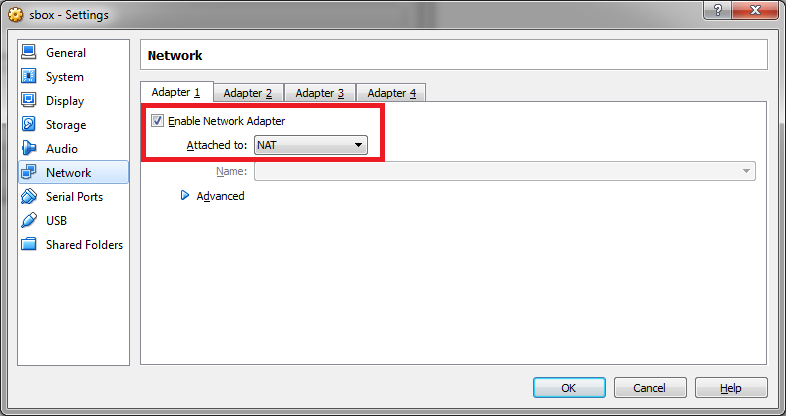 Go to "Control Panel->Network and Internet->Network Connections" , find "VirtualBox Host-Only Network" adapter and disable it. Then run loader again with -l key. E.g. from elevated command prompt: D:\Virtual\VBOX\Settings\ayaseldr.exe -l where "D:\Virtual\VBOX\Settings\" is your location of file instead. After successful loading with no error messages, go back to control panel and reenable "VirtualBox Host-Only Network" adapter. Note: you will have to do this after every system reboot, because our driver doesn't stay and do not load itself automatically. 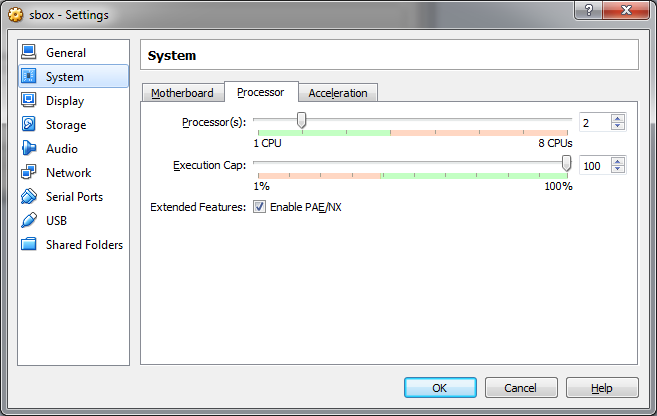 Perform steps above before you launch VBox each Windows session. It maybe not that comfortable, but it not that hard. Of course you can avoid using loader if you don't want but then without our driver helper loaded huge amount of VM specific data will be accessible from the VM, revealing it detection to malware. Also DsdtFilePath and SsdtFilePath commands will not work (as VBox will not recognize them as acceptable commands), so you will need to remove them from VM configuration file, again making VM friendly to VM detection. HKEY_LOCAL_MACHINE\SYSTEM\CurrentControlSet\services\tsugumi\Parameters value PatchData type REG_BINARY. It will be used by our driver as map and data to apply VBoxDD patch on the fly in memory when this dll will be loaded by VirtualBox. Before this was accomplished direct file modification but since 4.3.14 as you know Oracle banned this way. NOTE: everything in this thread about x64 version of VirtualBox, we do not support x86-32 version and have no plans to do so. kmd wrote: 3. how to create binary patch table like above? A visual example of decoded table (lets take 4.3.20 from rinn post as example). Note: we use different patch table with different patch content so do not worry to copy-paste detections to your trojans - they won't work. 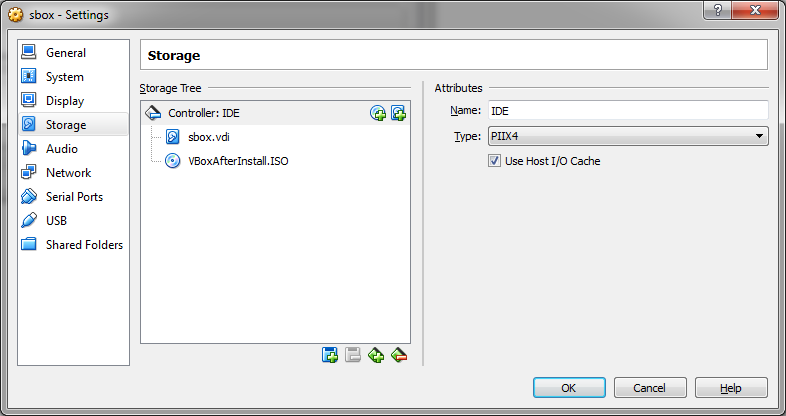 Now lets examine offsets in VBoxDD 4.3.20.
is a offset to VBOX identifier used in instruction. Patch takes first 2 bytes of this identifier and overwrites them with "QR" (stored in Chain->Data) resulting in QROX instead of VBOX. Chains 323f4, 32547, 32872, 32a14, 32b48, 3bf30 does the same for their offsets . This pieces of code used for initialization of virtual machine and these signs WILL BE visible inside VM - revealing it is VBOX virtual machine. Chain with offset 11bf98 points to "VirtualBox" string. we replace 8 bytes of it with "MagicalR" resulting in "MagicalRox"
This will overwrite the following debug messages located below target code but they are not important. Chains with offset 12026, 1f701, 41ef1 does the same. That's all. With all countermeasures used (including loading custom system tables and bioses) even full memory dump of virtual machine will not reveal simple VirtualBox indicators so loved by malware. Note: for patching DSDT table - aware that it is CRC protected, so you need to re-calculate and write proper CRC otherwise your customized machine won't load (https://taesoo.org/files/code/acpi.c.html). I didn't quite understand what I have to do there.. Your VirtualBox version (including build number) and how do you start VM, all steps (how do you run loader etc, is it loaded driver etc). This was note to people who want to patch DSDT table manually (for future versions of VBox). Table in 1st post attach already with fixed checksum.